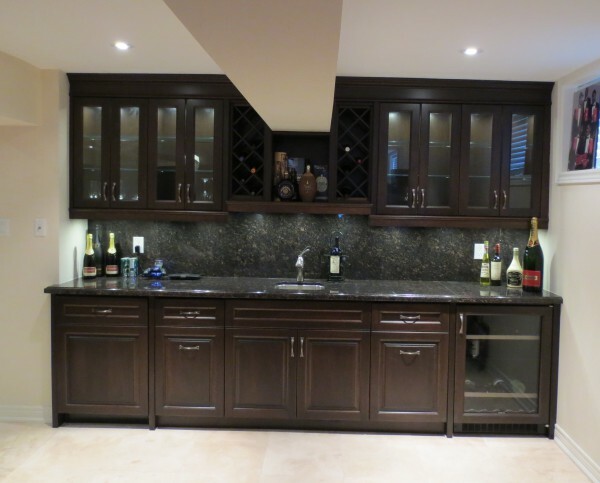 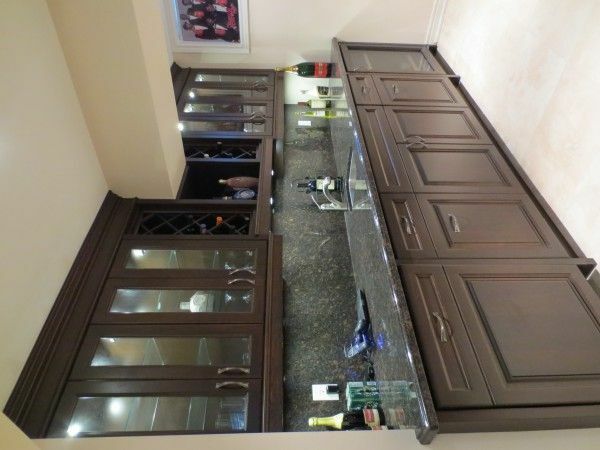 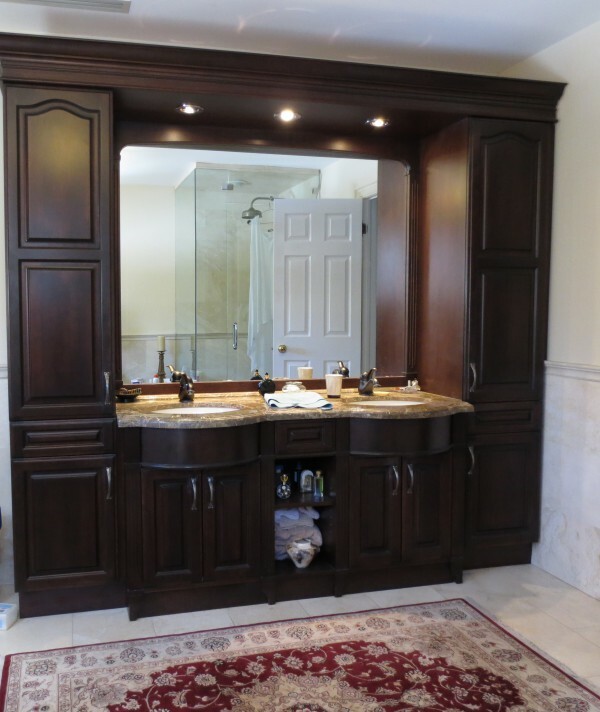 Custom built wall units, home bars, bathroom vanities and closet organizers designed to make a space elegant, sophisticated and functional. 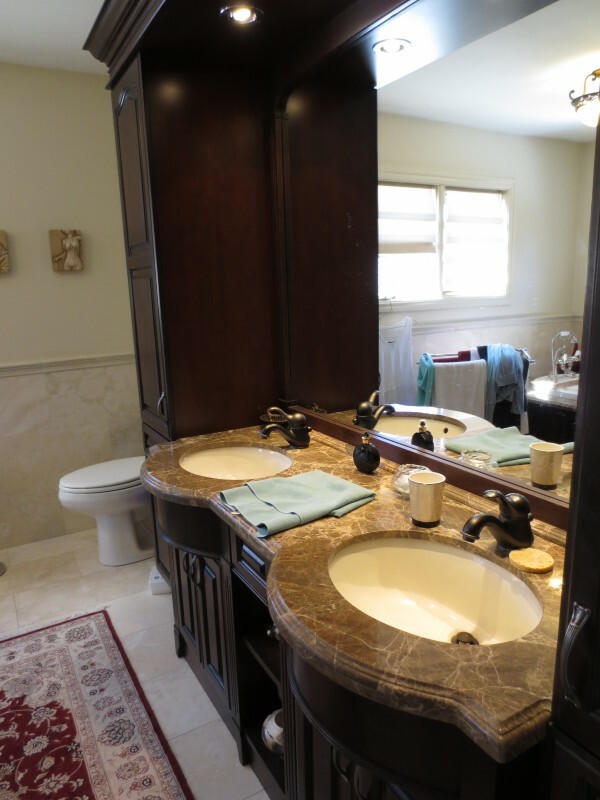 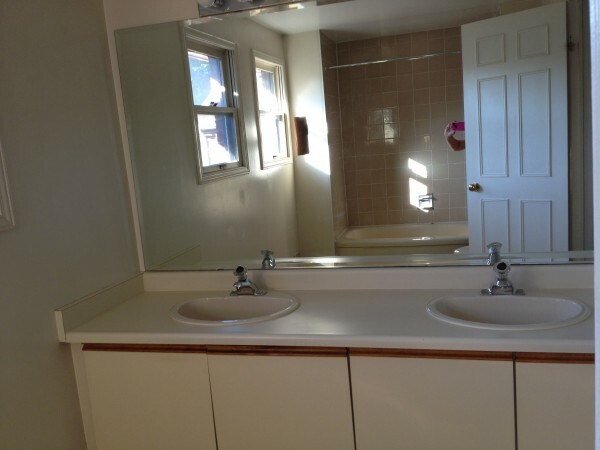 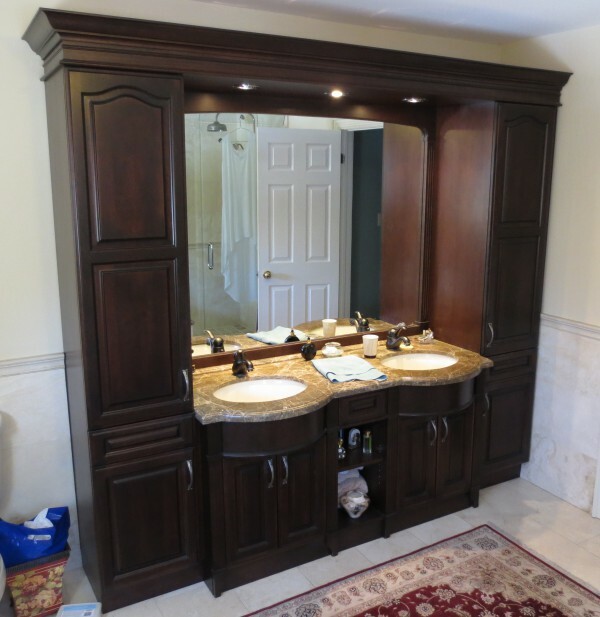 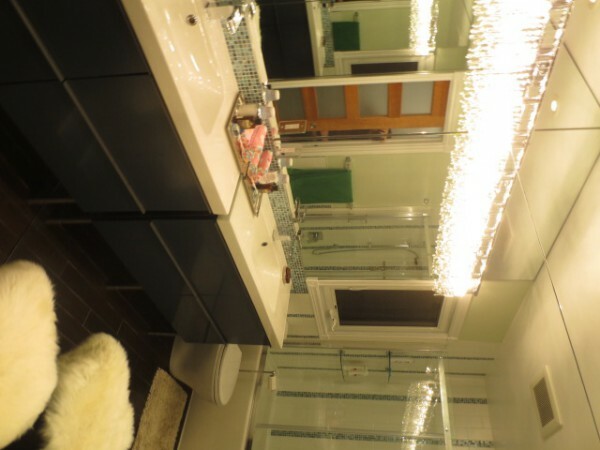 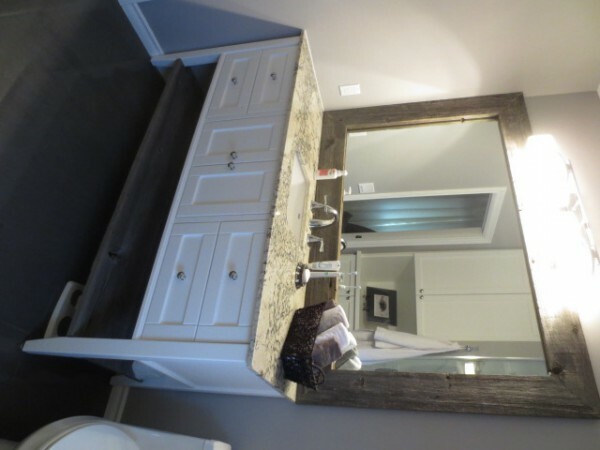 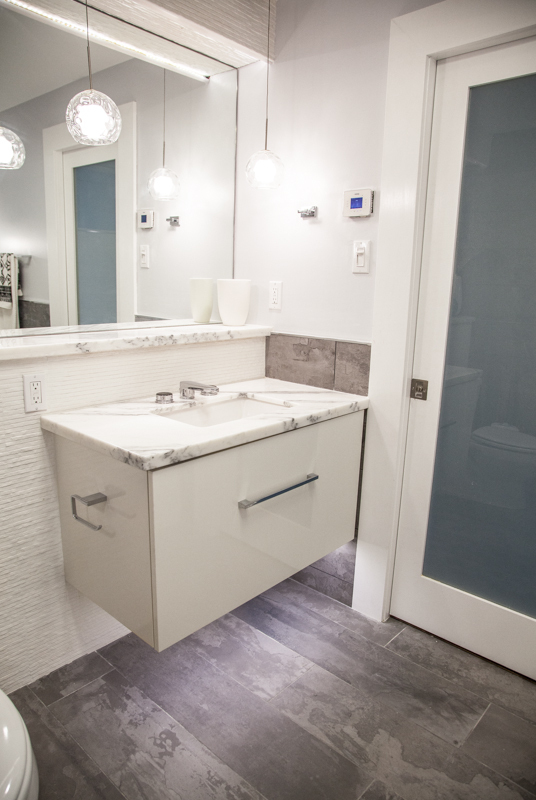 This timeless bathroom vanity was built by McHaig Millwork over ten years ago and still looks brand new and beautiful! 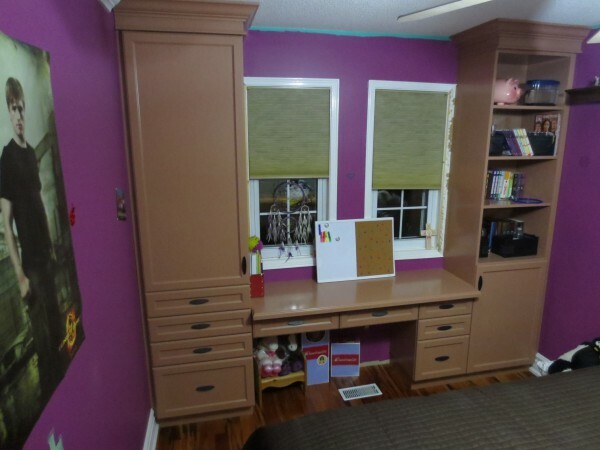 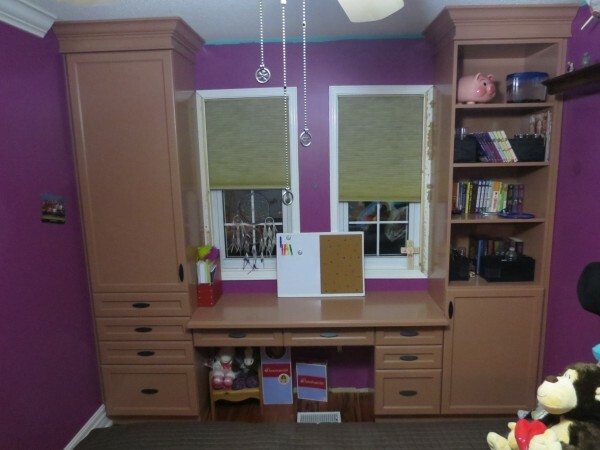 This multi-functioning wall unit is perfect for a student who needs their space to study and focus, as well as keep things organized. 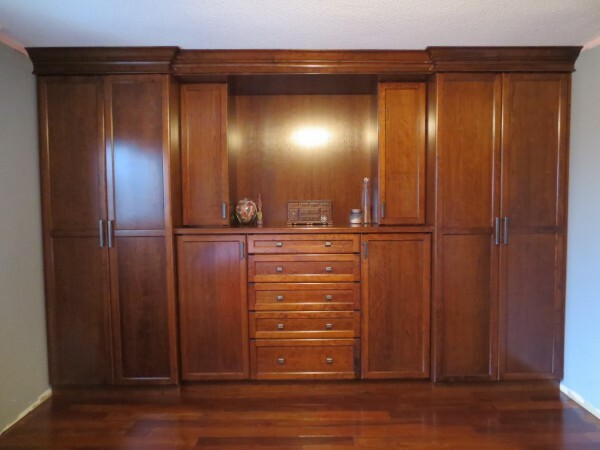 This wall unit built by McHaig Millwork for a master bedroom was designed to function as both a closet and an entertainment unit. 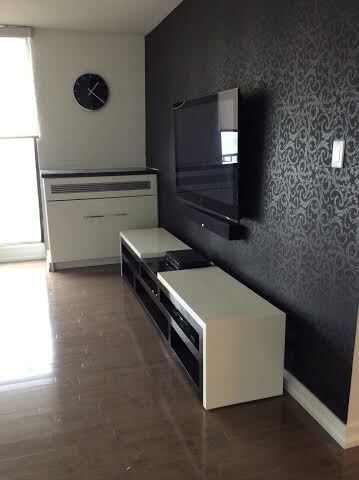 It has been filled with clothes, now all they need is the T.V.! 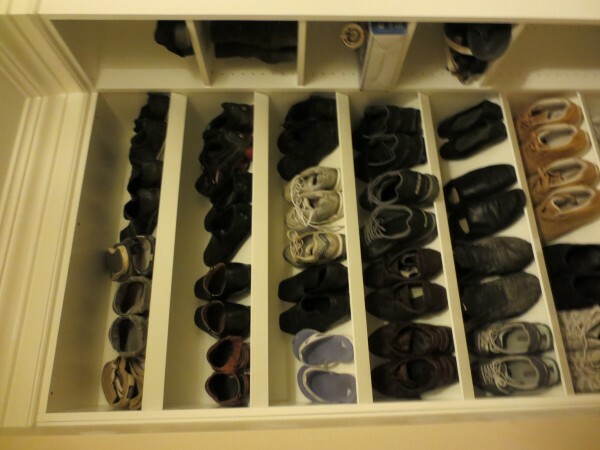 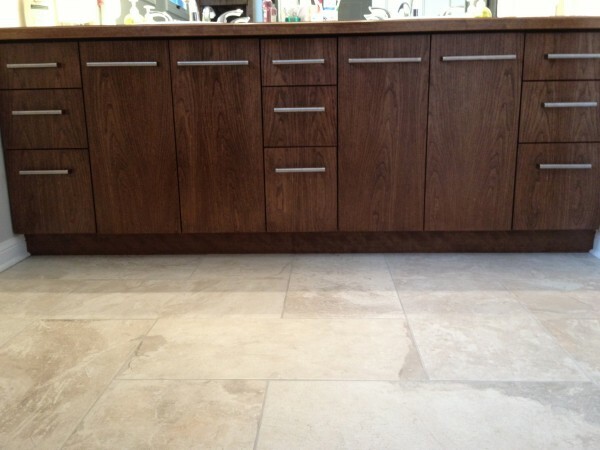 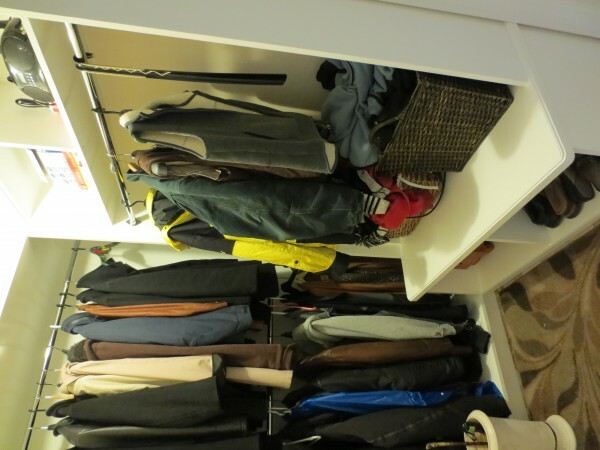 An easy to access & use closet that makes a mudroom functional. 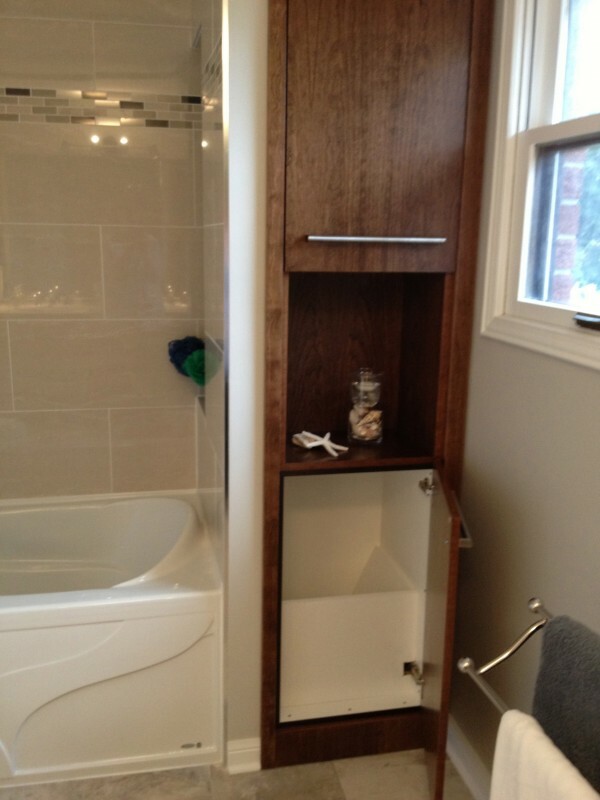 This wall unit was custom built for a small mudroom in order to optimize storage and organization. 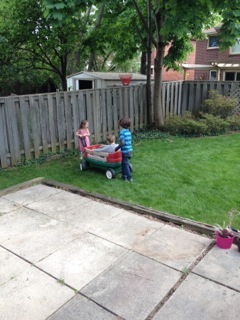 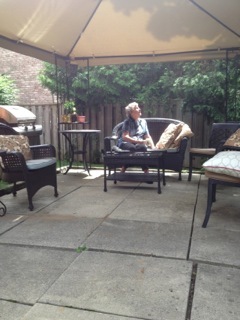 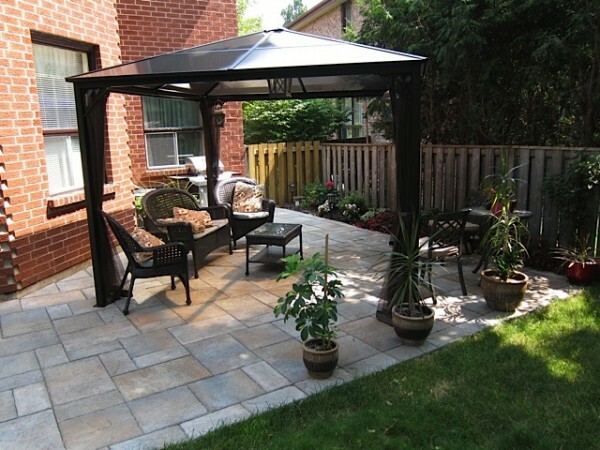 Adding beauty to your backyard. 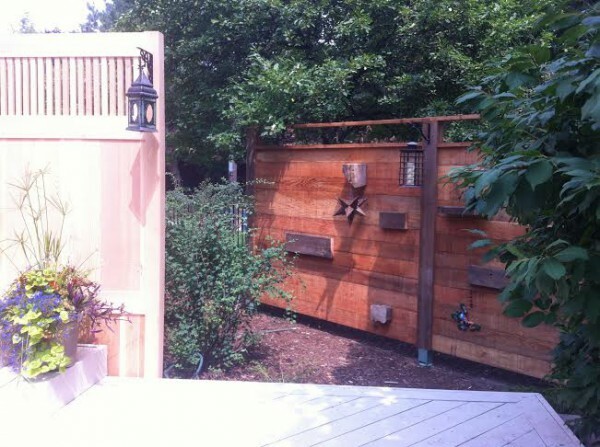 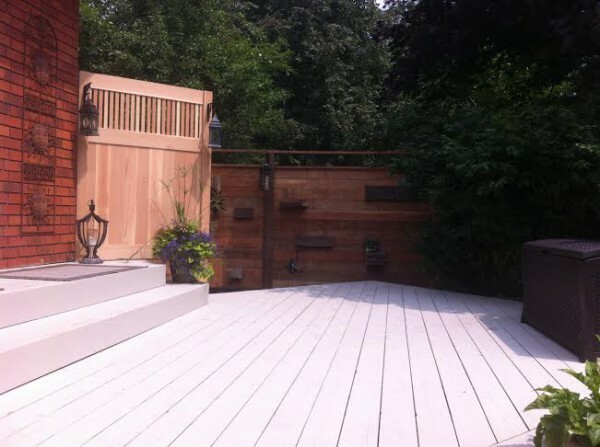 A dressed and rustic cedar fence built by McHaig Millwork add an artistic flare to this backyard and gives it privacy. 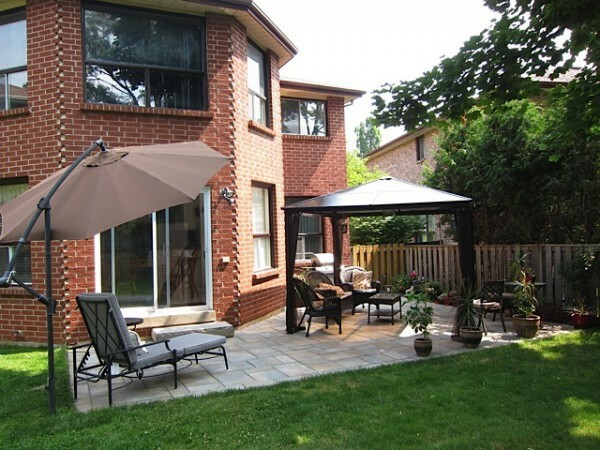 This inviting stone patio built by McHaig Millwork makes enjoying your backyard easy. 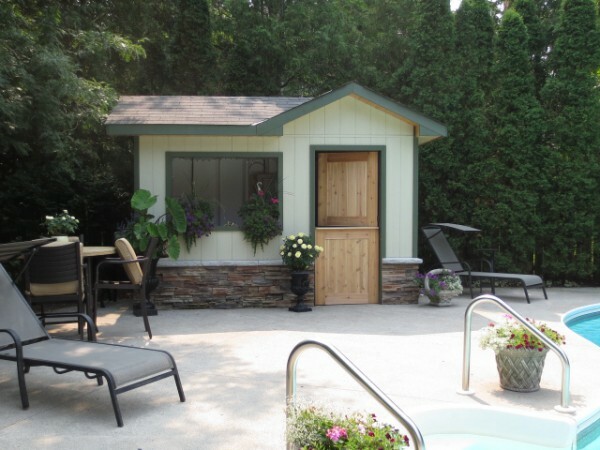 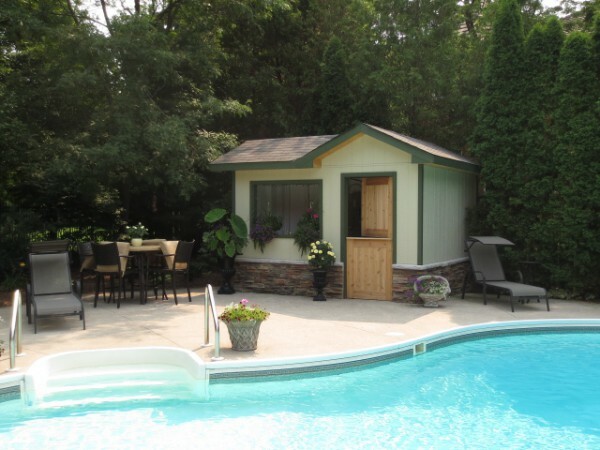 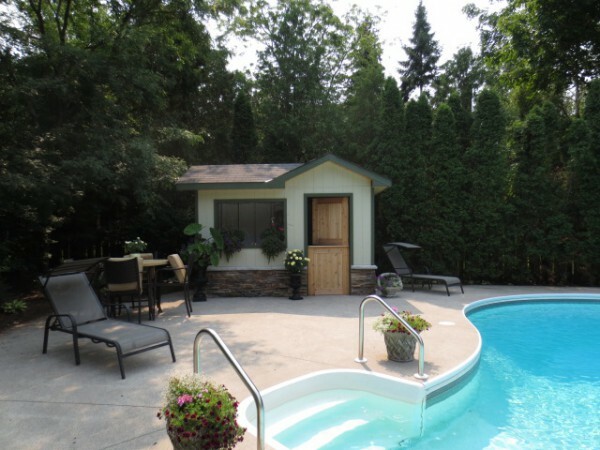 This cozy pool shed built by McHaig Millwork covers the pool heater and pump while providing storage and adding sophistication with its split cedar door and rustic stones. 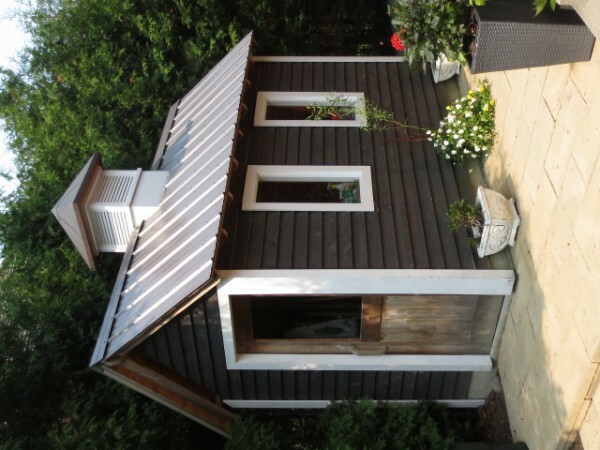 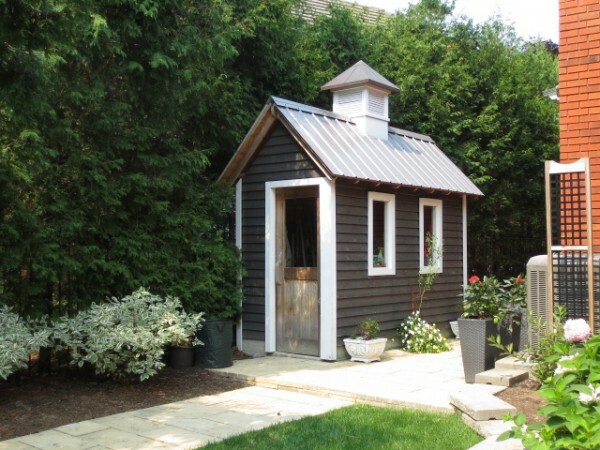 Engineered and built by McHaig Millwork, this yard shed with exposed rafters was built to last and still looks new after almost ten years! 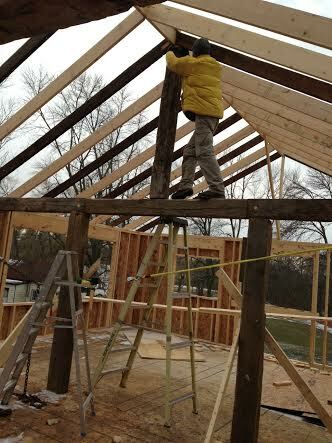 Owner building additional level on top of an existing barn. 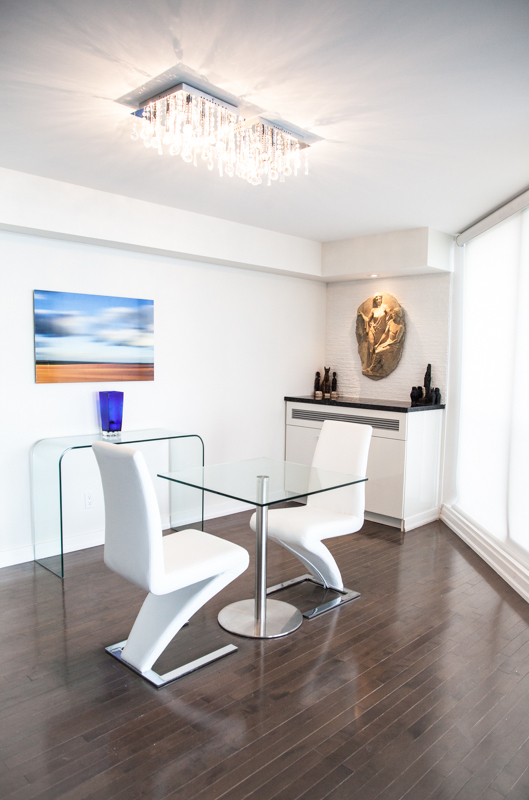 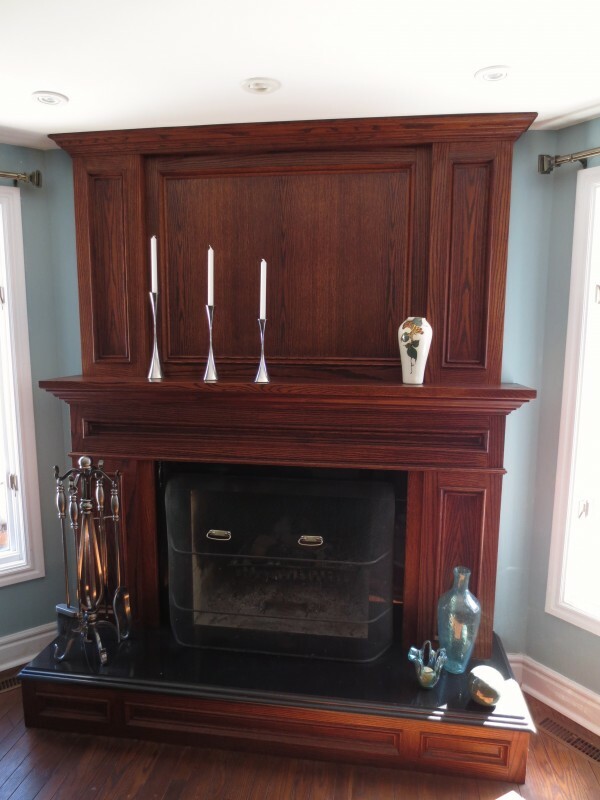 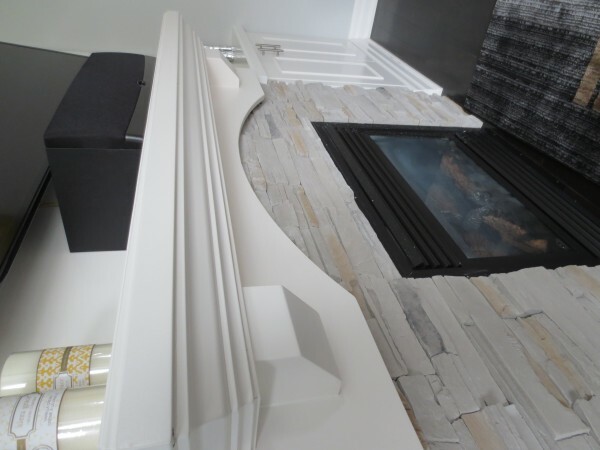 A glimpse of our stunning custom fireplaces and furniture. 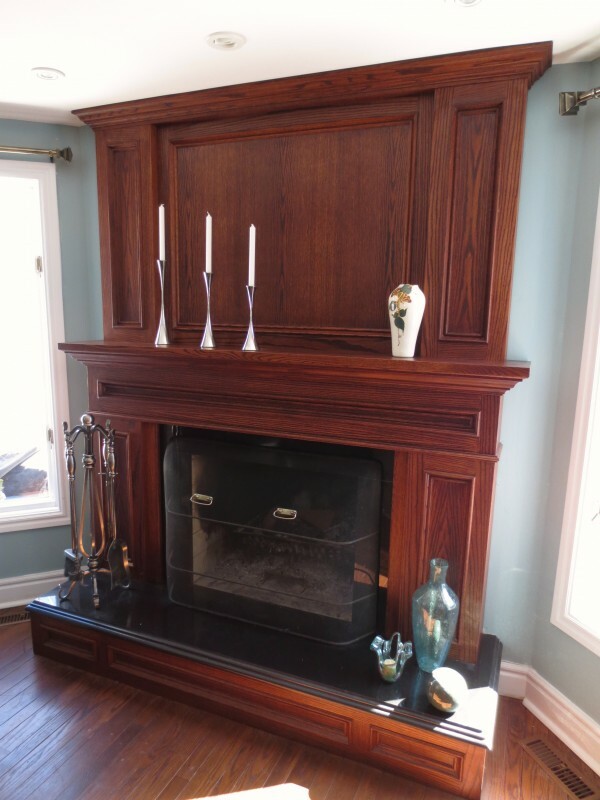 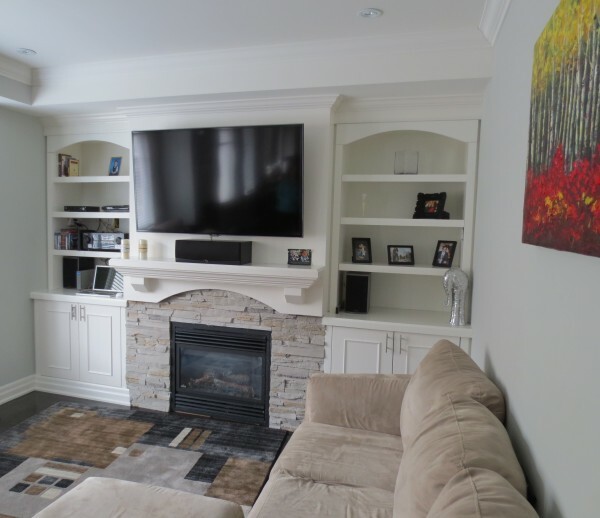 A beautiful wall unit that serves as a fireplace and an entertainment unit. 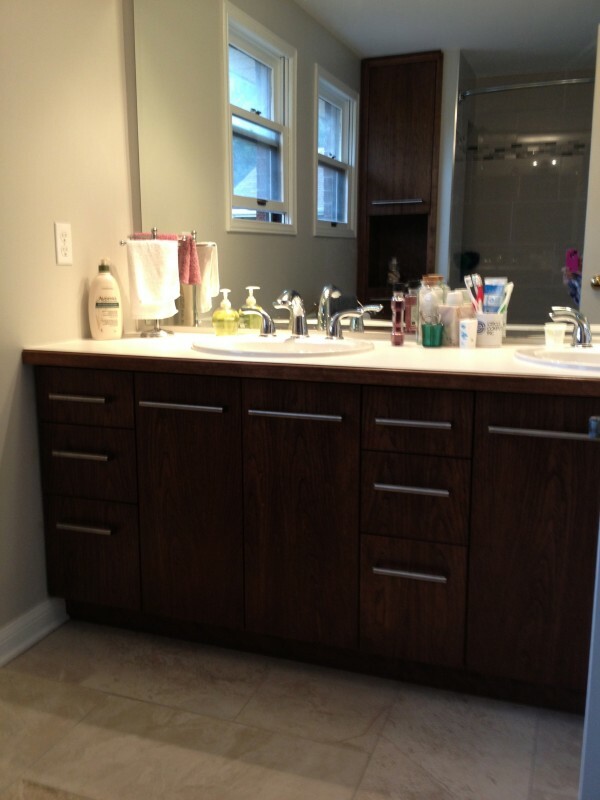 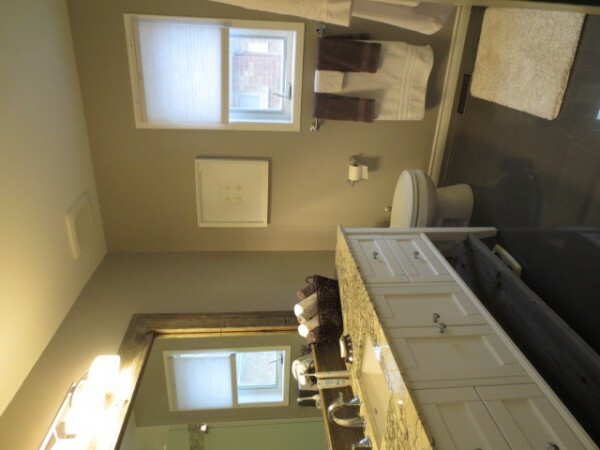 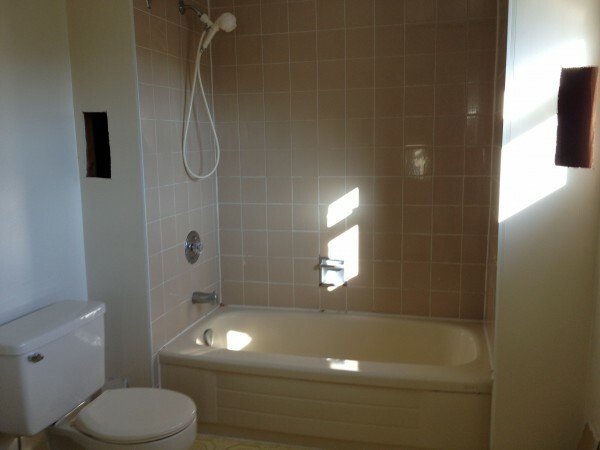 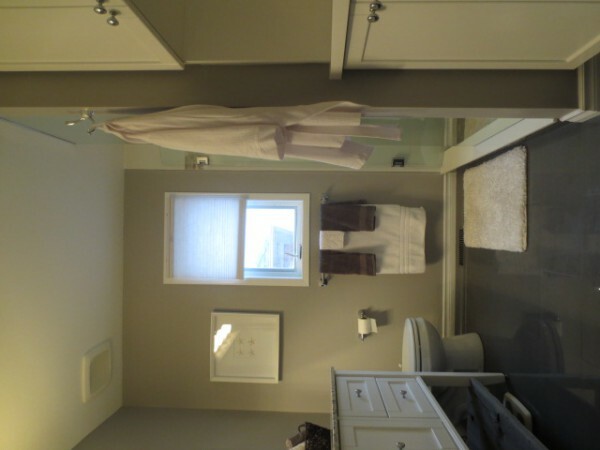 Bathrooms & laundry room completely redone by McHaig Millwork... from demolition to the final coat of wall paint, and of course the custom cabinetry in between. 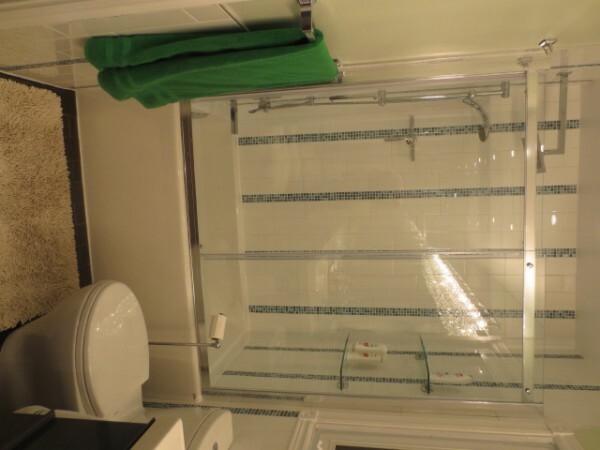 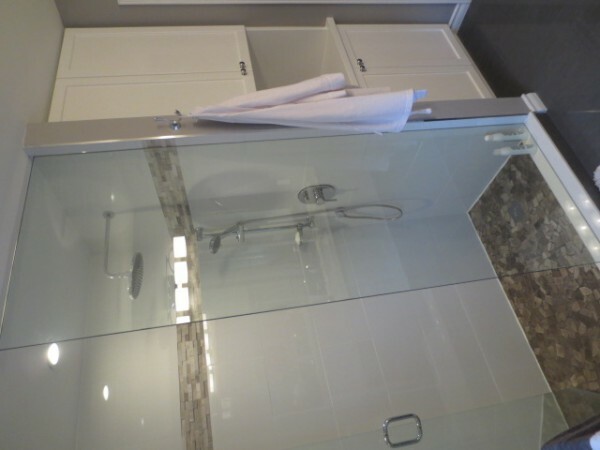 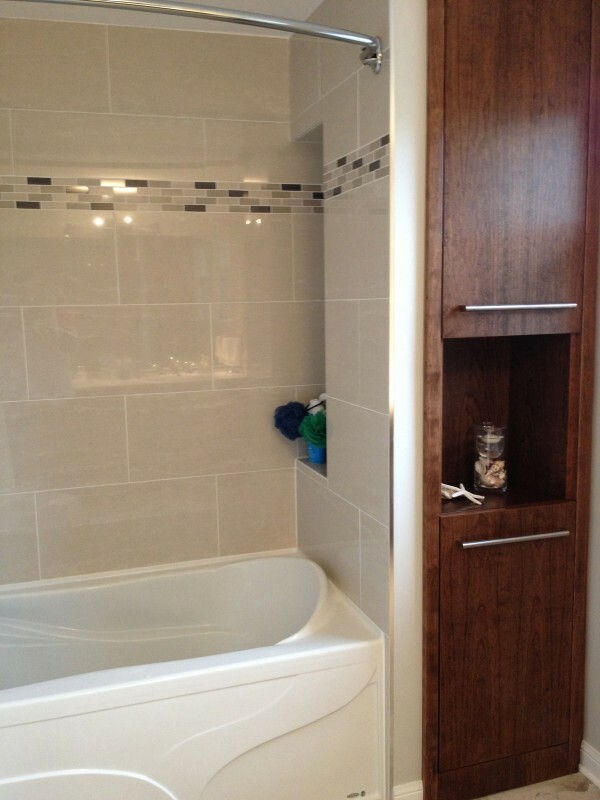 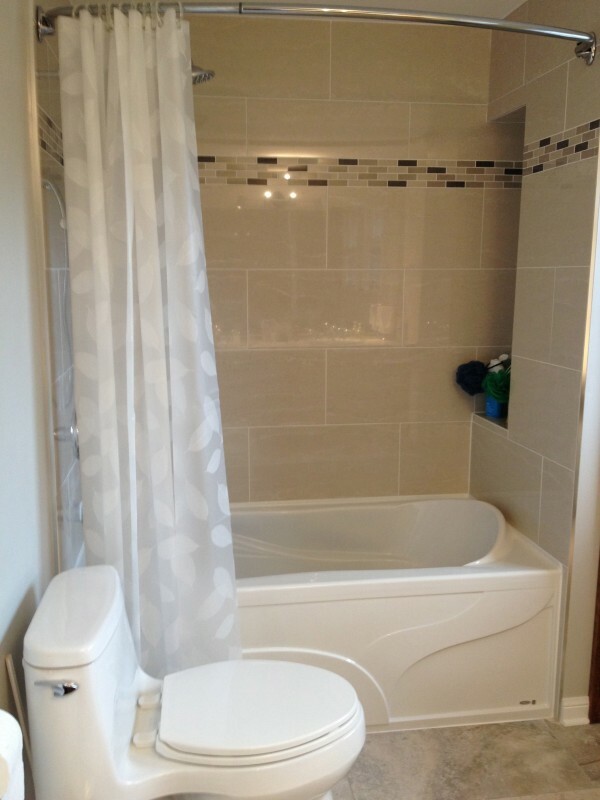 Notice that the outside walls around the tub, wasting space, were removed in order to fit this elegant cabinet that optimizes storage! 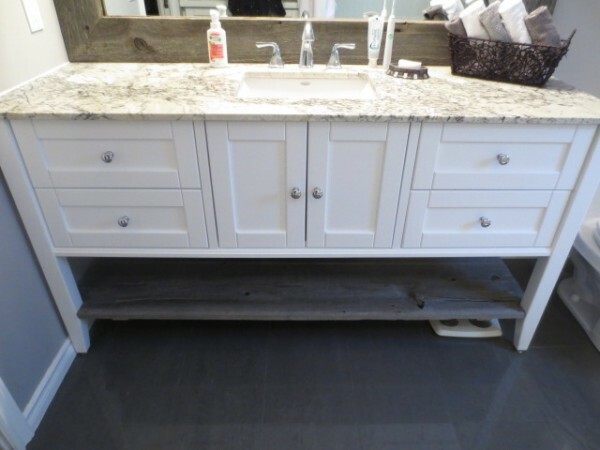 This custom bathroom vanity and mirror frame was made with authentic old barn boards, that give it a cozy, rustic, feel. 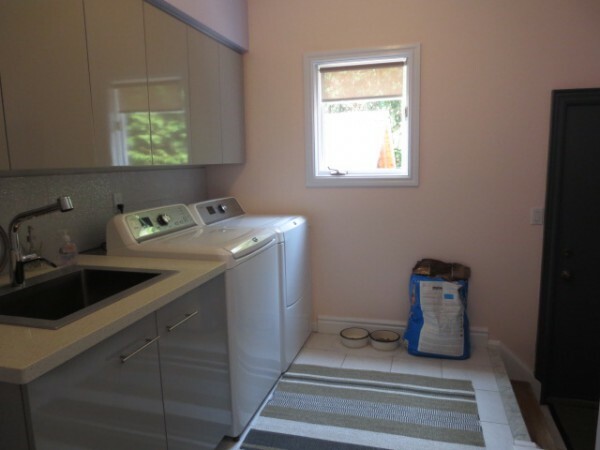 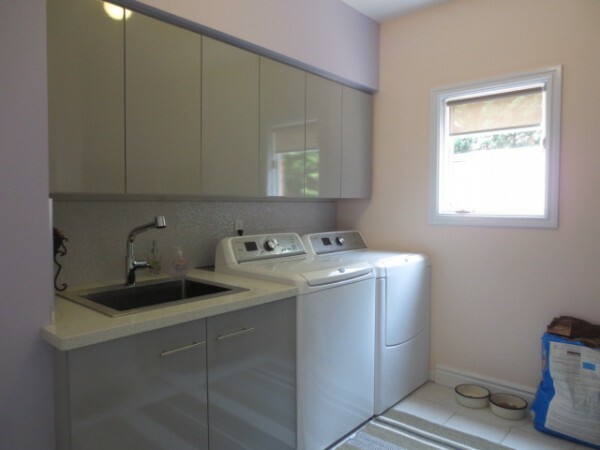 A fresh new laundry room with high gloss cabinets, an elegant back splash, sleek counter top & sink, and warm paint all done by McHaig Millwork. 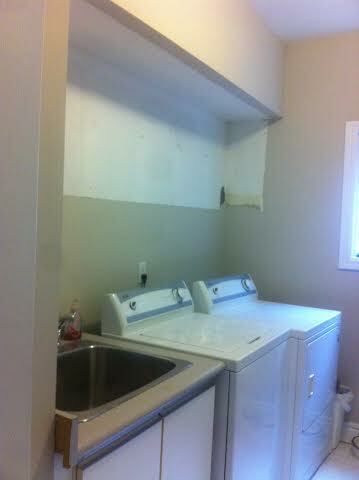 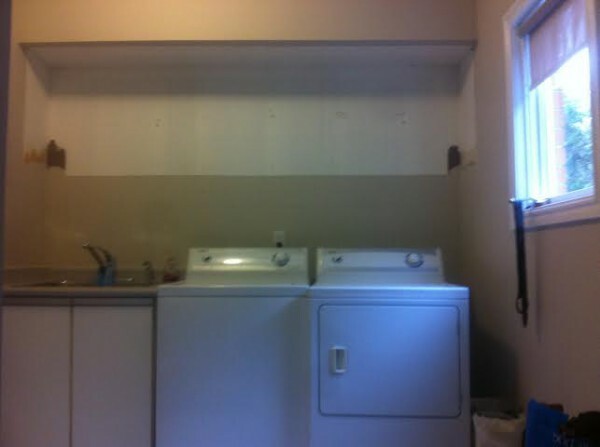 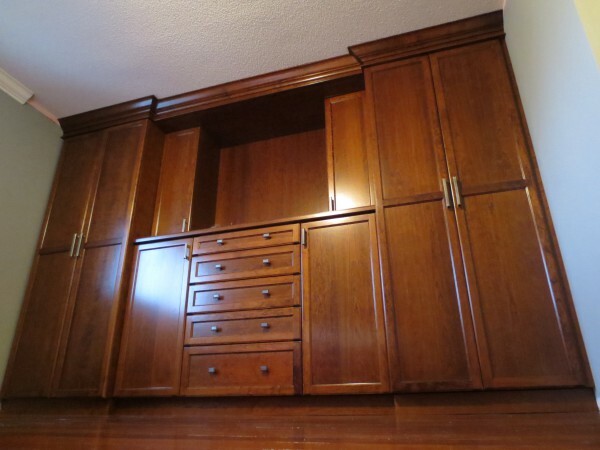 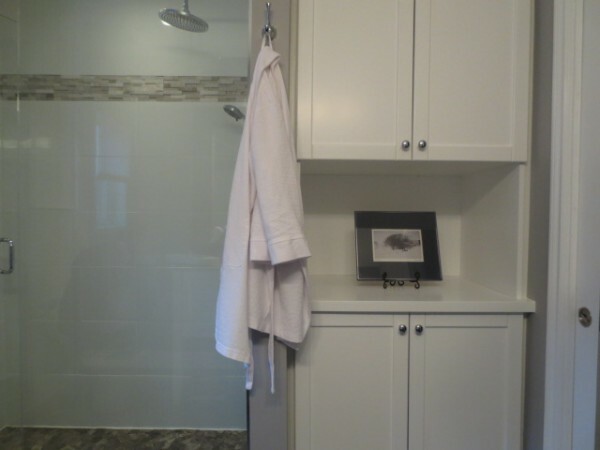 This cabinet features a custom laundry shoot!